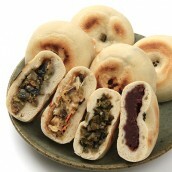 Anko (azuki bean paste) and white miso?! 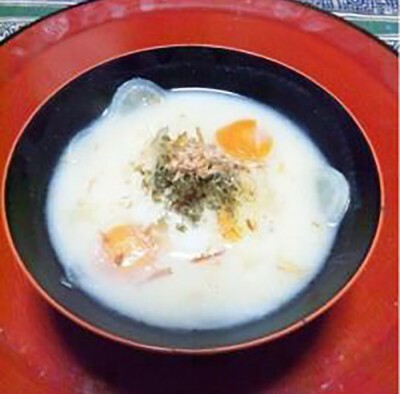 Zoni is a type of soup flavored with niboshi and miso, and containing round mochi (rice cakes), carrots and daikon. 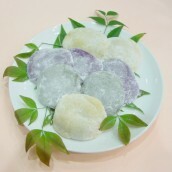 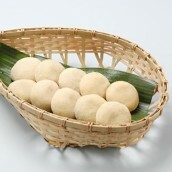 The unusual thing about zoni in Kagawa is the mochi have anko in them. 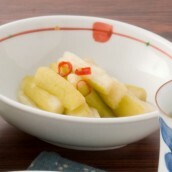 Some accounts suggest that white miso is used because it was brought from Kyoto to Emperor Sutoku after he was exiled to Sanuki (modern day Kagawa) following the Hogen Rebellion. 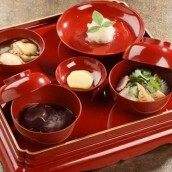 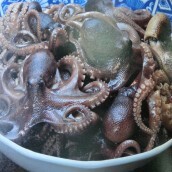 It is thought that anko was first used in this dish during the Edo period. 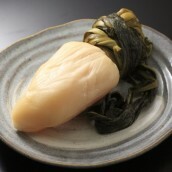 Wanting to have something special to eat during the New Year, people used Sanuki sugar, one of the three prized products (salt, sugar and cotton) from Sanuki. 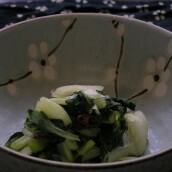 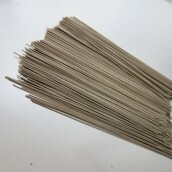 It is still commonly eaten as a staple during the New Year in Kagawa.